If you have listen the lecture relating to the bad Education System of India from the CD of Rajiv Dixit . Then you can understand that why is admission to English medium school sign of our slavery. A student can remember any thing 10 times faster than English language . Learning of English language without understanding the concept is making our students fool . All World's PHD holders gets the research in their mother tongue . Rajiv Dixit told also real story of a Scholar when Rajiv dixit asked which is the better language for research , then Scholar said only research in mother tongue can get best results of research. Main aim of education is to uplift mentally but English is making us foolish ; We can say aunt or uncle of different relatives like mama , chacha and other taya . There is no clear definition in English language about serious relations. World's best language is Sanskrit , if you can not admit your students in Sanskrit medium school , then please admit your children only in Hindi or your regional or local language school for development of your children . In her original words ,"Here, I would like to share my experience regarding the impact of Respectable Rajiv Dixit ji on our family.This is the time when we were to admit our child into school in the year 2000. we were in the state of great confusion whether to admit him in Marathi medium school or English . I got educated in a English medium school and my hubby in Marathi. 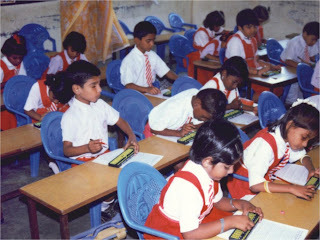 We were in favour of Marathi medium as I have been suffering the the great drawbacks of English medium school. But the society`s trend was for English medium hence the dilemma as no parents would like their children to suffer because of their decisions. God is great ,exactly at this juncture I heard the cassette of Shri Rajiv Dixit ji and his views on English language and English as medium of instruction. Let me proudly tell you that till date not a single moment of repention has peeped our mind and are very happy about our decision. My children and myself are enjoying life thoroughly in our own ways. They are thoroughly enjoying their childhood with no tensions. At the same time are good in studies too, hence I have no tensions as a mother consequently my husband also enjoys his work hence our home is truly a Happy home. I feel like getting involved in a movement against these English medium schools which are really ruining the childhood of the young generation to come .Its the parents actually to be awakened then the children. Well I every time wanted to express my gratitude towards Swadeshi Bachchao Andolan As it has indeed played a very important roll in our life."